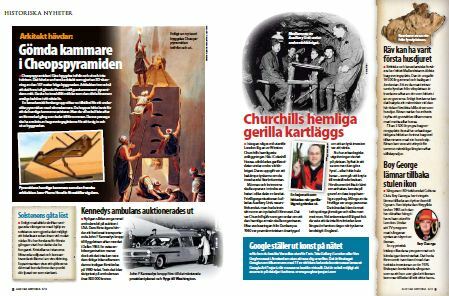 The ongoing project at Coleshill, known as Coleshill Uncovered has now been featured in a Swedish history magazine called ‘Altom Historia’. “In the woods a few miles off London was one of Winston Churchill’s most secret facilities. Here, in Coleshill House trained guerrillas during World War II. Their task was to fight the Germans on the invaded Britain. the secret army was organized. After the evacuation from Dunkirk 1940 was prime minister convinced that a German invasion was to be expected. Now the archaeological excavations started on the spot. The aim is to see if you can do findings – or find the whole bases – that is to tie resistance movement.